The Federal agency that regulates civil aviation in America is planning to use its framework for licensing space launches to licensing business on the Moon, according to a scoop from Reuters this morning. 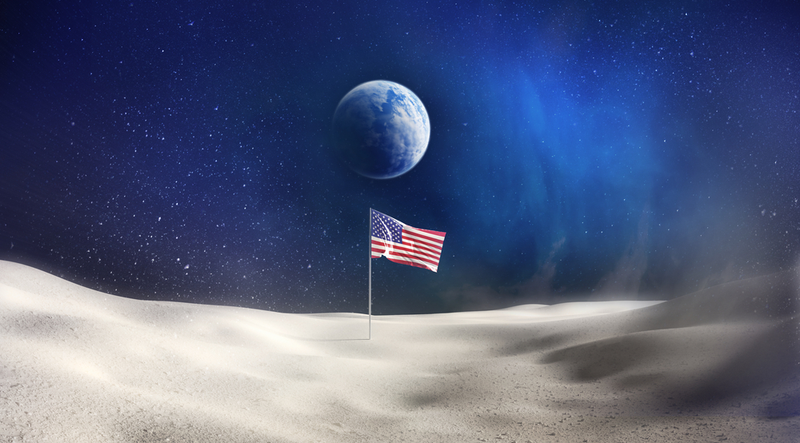 Are we facing a lunar land grab? Not exactly. The report takes the form of a letter from the Federal Aviation Agency to Bigelow Aerospace—a private company that has developed expandable living modules for the ISS and hopes to put inflatable, modular living stations on the Moon and even Mars. The letter, dated from December, is all about whether Bigelow would be able to claim the right to develop a habitat on a particular part of the Moon—without any other mission or project interfering. According to Reuters, the FAA says that Bigelow's theoretical development would be protected. In its letter, the agency said it plans to leverage its "existing launch licensing authority to encourage private sector investments in space systems by ensuring that commercial activities can be conducted on a non-interference basis," continuing, "we recognize the private sector's need to protect its assets and personnel on the moon or on other celestial bodies." A Bigelow lunar habitat mockup. After all, the FAA does control how private companies launch craft into space. It would make sense that the agency plans to serve as a regulatory agency for exploration on celestial bodies and planets, too. A Bigelow exec told Reuters that the FAA's letter "doesn't mean that there's ownership of the moon," but that "it just means that somebody else isn't licensed to land on top of you or land on top of where exploration and prospecting activities are going on, which may be quite a distance from the lunar station." The FAA already controls how American companies launch goods into space—in fact, we learned last year that Virgin Galactic doesn't have an FAA permit to launch passengers yet. But does the agency have the right to do the same for the Moon, based on international treaties? That remains unclear. As Reuters points out, a UN treaty from 1967—the United Nations Outer Space treaty—is the main legal framework for "space law." The treaty states that neither space nor celestial bodies are "subject to national appropriation by claim of sovereignty, by means of use or occupation, or by any other means." Obviously, that includes the Moon, which would mean that other countries with space programs would probably object to US companies staking claims.